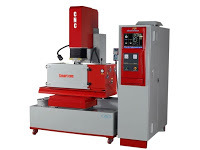 Having identified the need of the global customer of cost effective CNC EDM, Electronica developed ‘Smart CNC’ meeting customer requirements. The most significant feature is that unattended operation during night and week end. Smart CNC is medium size machine having travels X,Y,Z of 300, 200, 250 mm with 50Amp .S 50 CNC advanced pulse generator. The work tank size is 800 x 500 x 350 mm. It can produce surface finish better than 0. 29 Micron Ra and the lowest electrode wear is less than 0.2%. 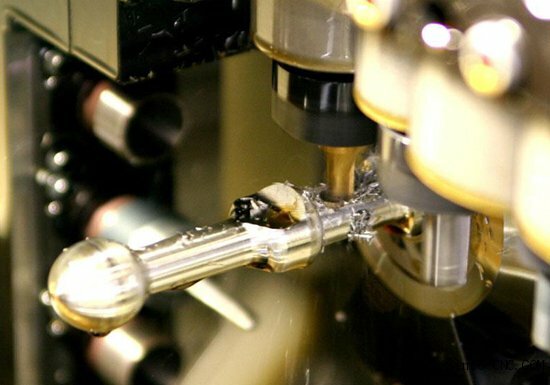 High Speed Jump increases machining efficiency for deep cavity machining. Adaptive Anti Arc and flushing control continuously monitors the gap condition and takes pulse to pulse corrective action eliminating the need of operator intervention. SAFE machining is another feature facilitates machining of small profiles without loosing the sharpness thus improving the electrode life. A typical example is machining of thin ribs.